WW blog hop has now expired. The Photo Gallery: Week 99 Action…. "Olive And Fig Ice Cream…"
Great photo have a great week!! Hope you can stop by and share on Oh My Heartsie Girl!! Stunning! Almost looks like a painting. Such pretty birds. I always thought their legs looked like sticks. That's so pretty it doesn't even look real! Thanks, not often you see so many different birds together.. Thanks for hosting! Beautiful photo! Wow, that's a very beautiful photo. So pretty it should be framed. This shot looks awesome! Well done! 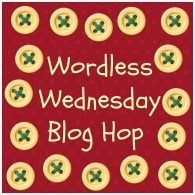 :)Happy Wordless Wednesday! Edit? What did you use to Edit this or if not how in the world did you manage such a beautiful shot? Beautiful processing of the photo.